You may not be able to control the environment, but with Fenetex Dual Screens, you’ll have total control over your environment. Our exclusive, custom-engineered track system combines two Fenetex Retractable Screens to combat any external challenge you face. Pairing a hurricane screen that’s stronger than steel with an insect or shade screen renders your outdoor space impervious to any variable regardless of the season. This Dual Screen System allows you to fend off any intrusive insect without breaking a sweat. These screens work in tandem to block the sun and maximize airflow so you get the most enjoyment from your outdoor space. A great combination for the harshest of seasons, both screens work together protect any outdoor space. When the winter winds are howling, drop the Clear Weather Curtains, turn up the heat, and relax. When the insects are invading in the summer, preserve the sanctity of your outdoor space by dropping our Insect Screen. Not even the most extreme weather conditions are a match for our Hurricane Screens. They keep the snow off patios in the winter and fortify your outdoor space during severe storms. 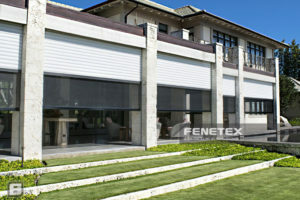 When combined with our Insect Screens, you’re protected from the harshest of storms and the most intrusive of insects. Every screen is custom manufactured to fit precisely within the architectural space it occupies to resist wind load. 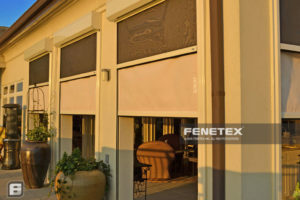 The Fenetex Dual Screen System allows you to have total control over your outdoor environment regardless of any changes in the environment outside. 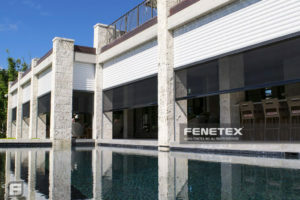 With the Fenetex system you don’t have to sacrifice your patio’s charm to protect it. 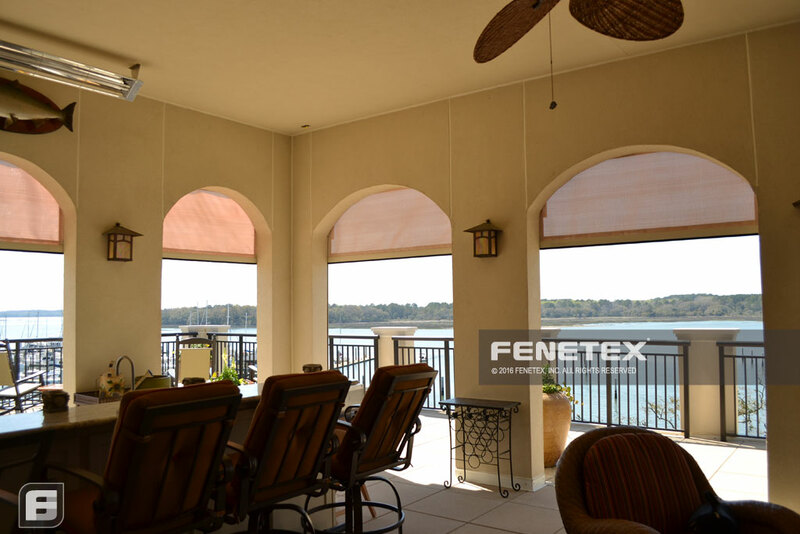 Our screens blend seamlessly with your patio, ready to deploy at a moment’s notice. In some cases such as new construction, the system can even be designed to disappear completely from sight. All of our retractable screens can be motorized to deploy at the touch of a button. For the ultimate peace of mind, they can be paired with smart home automation systems that can be operated and monitored from anywhere in the world or even deploy on their own when disaster strikes.